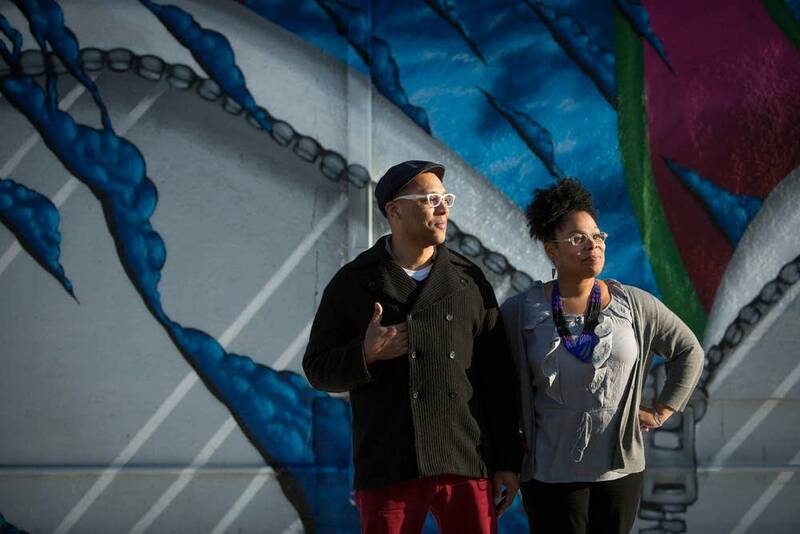 Creativity and innovation are critical for generating dynamic economic growth in Minnesota, say the directors of Juxtaposition Arts in north Minneapolis. DeAnna and Roger Cummings joined Chris Farrell for the latest "Conversation on the Creative Economy," recorded Jan. 18, 2018, at the Walker Art Center in Minneapolis. The social enterprise is training the next generation creative workforce through art and design education. Their conversation focused on ways to develop creative skills and entrepreneurial ambitions among youth. Organizations — and educators — need to nurture and unleash the artist, the designer, the innovator and the problem-solver among employees, the Cummings said. All the great economic challenges of our time connect to the need to hone everyone's creative abilities on the job, they said. DeAnna Cummings is the CEO and co-founder of Juxtaposition Arts, a youth-focused cultural development center founded in 1995 in North Minneapolis. Roger Cummings is a founding principal and chief cultural producer of Juxtaposition Arts. Chris Farrell is the host of Conversations on the Creative Economy and senior economics contributor at APM's Marketplace and Minnesota Public Radio.